Developing a long term Mozilla Learning strategy has been my big focus over the last three months. Working closely with people across our community, we’ve come up with a clear, simple goal for our work: universal web literacy. We’ve also defined ‘leadership’ and ‘advocacy’ as our two top level strategies for pursuing this goal. The use of ‘partnerships and networks’ will also be key to our efforts. These are the core elements that will make up the Mozilla Learning strategy. As you’ll see in the slides, our goal for Mozilla Learning is an ambitious one: make sure everyone knows how to read, write and participate on the web. In this case, everyone = the five billion people who will be online by 2025. 1. Develop leaders who teach and advocate for web literacy. Concretely, we will integrate our Clubs, Hive and Fellows initiatives into a single, world class learning and leadership program. 2. Shift thinking: everyone understands the web / internet. Concretely, this means we will invest more in advocacy, thought leadership and user education. We may also design ways to encourage web literacy more aggressively in our products. 3. Build a global web literacy network. Mozilla can’t create universal web literacy on its own. All of our leadership and advocacy work will involve ‘open source’ partners with whom we’ll create a global network committed to universal web literacy. Process-wise: we arrived at this high level strategy by looking at our existing programs and assets. We’ve been working on web literacy, leadership development and open internet advocacy for about five years now. So, we already have a lot in play. What’s needed right now is a way to focus all of our efforts in a way that will increase their impact — and that will build a real snowball of people, organizations and governments working on the web literacy agenda. The next phase of Mozilla Learning strategy development will dig deeper on ‘how’ we will do this. I’ll provide a quick intro post on that next step in the coming days. Building a global network of partners will be key to the success of our Mozilla Learning initiative. A network like this will give us the energy, reach and diversity we need to truly scale our web literacy agenda. And, more important, it will demonstrate the kind of distributed leadership and creativity at the heart of Mozilla’s vision of the web. As I said in my last two posts, leadership development and advocacy will be the two core strategies we employ to promote universal web literacy. Presumably, Mozilla could do these things on its own. However, a distributed, networked approach to these strategies is more likely to scale and succeed. Luckily, partners and networks are already central to many of our programs. What we need to do at this stage of the Mozilla Learning strategy process is determine how to leverage and refine the best aspects of these networks into something that can be bigger and higher impact over time. This post is meant to frame the discussion on this topic. Partners and networks are a part of almost all of our current programs. We’ve designed networks into our work from early on. Partners fuel our work: they produce learning content; they host fellows; they run campaigns with us. In a very real way, partners are huge contributors (a la open source) to our work. Many of our partners specialize in learning and advocacy ‘on the ground’. We shouldn’t compete with them in this space — we should support them. Design principle = build partners and networks into everything. We are committed to integrating partners and networks into all Mozilla Learning leadership and advocacy programs. By design, we will both draw from these networks and provide value back to our partners. This last point is especially important: partnerships need to provide value to everyone involved. As we go into the next phase of the strategy process, we’re going to engage in a set of deep conversations with our partners to ensure the programs we’re building provide real value and support to their work. Over the past few years, a variety of network and partner models have developed through Mozilla’s learning and leadership work. Hives are closely knit city-wide networks of educators and orgs. Maker Party is a loose network of people and orgs around the globe working on a common campaign. Open News and Mozilla Science sit within communities of practice with a shared ethos. Mozilla Clubs are much more like a global network of local chapters. And so on. As we develop our Mozilla Learning strategy, we need to find a way to both: a) build on the strengths of these networks; and b) develop a common architecture that makes it possible for the overall network to grow and scale. Member: any org participating in Mozilla Learning. Partner: any org contributing to Mozilla Learning. Club: a locally-run node in the Mozilla Learning network. Affiliate network: group of orgs aligned with Moz Learning. Core network: group of orgs coordinated by Mozilla staff. This may not be the exact way to think about it, but it is certain that we will need some sort of common network architecture if we want to build partners and networks into everything. Working through this model will be an important part of the next phase of Mozilla Learning strategy work. In theory, one of the benefits of networks is that the people and organizations inside them can build things together in an open source-y way. For example, one set of partners could build a piece of software that they need for an immediate project. Another partner might hear about this software through the network, improve it for their own project and then give it back. The fact that the network has a common purpose means it’s more likely that this kind of open source creativity and value creation takes place. This theory is already a reality in projects like Open News and Hive. In the news example, fellows and other members of the community post their code and documentation on the Source web page. This attracts the attention of other news developers who can leverage their work. Similarly, curriculum and practices developed by Hive members are shared on local Hive websites for others to pick up and run with. In both cases, the networks include a strong social component: you are likely to already know, or can quickly meet, the person who created a thing you’re interested in. This means it’s easy to get help or start a collaboration around a tool or idea that someone else has created. One question that we have for Mozilla Learning overall is: can we better leverage this open source production aspect of networks in a more serious, instrumental and high impact way as we move forward? For example, could we: a) work on leadership development with partners in the internet advocacy space; b) have the fellows / leaders involved produce high quality curriculum or media; and c) use these outputs to fuel high impact global campaigns? Presumably, the answer can be ‘yes’. But we would first need to design a much more robust system of identifying priorities, providing feedback and deploying results across the network. Whatever the specifics of our Mozilla Learning programs, it is clear that building in partnerships and networks will be a core design principle. At the very least, such networks provide us diversity, scale and a ground game. They may also be able to provide a genuine ‘open source’ style production engine for things like curriculum and campaign materials. What value do they seek from us? What do they offer? Specifically, do they see value in our leadership and advocacy programs? What do partners want to contribute? What do they want in return? What is the right network / partner architecture? A key piece of work over the coming months will be to talk to partners about all of this. I will play a central role here, convening a set of high level discussions. People leading the different working groups will also: a) open up the overall Mozilla Learning process to partners and b) integrate partner input into their plans. And, hopefully, Laura de Reynal and others will be able to design a user research process that lets us get info from our partners in a detailed and meaningful way. More on all this in coming weeks as we develop next steps for the Mozilla Learning process. I often throw around big numbers when I talk about web literacy: “Soon we’ll have five billion people on the web. We need to make sure they all understand how it works and how to wield it.” I believe this. And, I believe that Mozilla needs to play a key role here. But the question is: how? Moving through Mozilla Learning planning, we’ve concluded we need two interlinked strategies: leadership development and large scale advocacy. Leadership development is fairly straightforward: Mozilla already has programs focused on this. Advocacy — or shifting understanding and thinking about the web — is harder. We have experience and talent here, but it is more nascent. Where to invest and how to move forward is less clear. This post lays out baseline thinking on a Mozilla Learning advocacy agenda with an aim of fueling a deeper discussion about our approach. Impact = everyone knows how to read, write and participate on the web. This is ultimately what we’re aiming at. It’s big and abstract, but substantively it is what we want: universal web literacy. Like universal language literacy, we will never fully reach the goal. But we can meaningfully make and measure progress across the globe. Impact = new internet users understand the full scope of the web. Impact = more people know how to protect their privacy. Impact = gov’ts, foundations and companies value web literacy. We need to pick two or three focusing impact statements like these to guide our work, at least for the next few years. There could be dozens of impact statements like this that are worthy — but we’ll only succeed if we know which ones we’re going after, and then drive hard toward them. Mozilla is already doing good work that improves public understanding of the web and promote web literacy. For example, we run advocacy campaigns on topics like net neutrality and mass surveillance. As a result, Firefox users learn about these complex issues in a simple way and are able to talk to others about them. They become more literate about the issues facing the internet today. Or, a very different example: we give talks, create curriculum and offer software to encourage other organizations to participate in our web literacy agenda. This makes it easy for the kinds of organizations that belong to Hive or run Maker Parties — or, eventually, for governments or philanthropies — to connect the educational work they already do everyday to our cause of teaching the world the web. Advocating for the web: building a strong educational element into a regular series of political and advocacy campaigns. E.g. our recent net neutrality campaigns. Advocating for web literacy: promoting the importance of web literacy and giving others around the world the tools to teach it. E.g. lobbying governments and educational orgs to deploy curriculum from Mozilla Clubs, MDN, etc. Consumer education: building educational messages about topics like privacy into our product channels, advertising or other places where we have a large audience. E.g. Smart On campaigns or internet onboarding programs w/ phone carriers. Ambient learning: putting features and cues inside our mainstream consumer software in ways that are likely to help people better understand the web. E.g. tinker mode in Webmaker or private browsing in Firefox. Thought leadership: defining an agenda around the future of the web or web literacy and then talking about it loudly in public. E.g. a more robust version of Shape of the Web backed by an extensive public relations and media campaign. What concrete impact do we want in the next three years? Where are the best opportunities to reach a large audience? How do constituency and audience lead to impact? How do we measure impact and change? As we do this, we need to keep in mind that the ultimate goal of the Mozilla Learning strategy is universal web literacy. Whatever we do needs to be driving back to that goal in a way that we can understand and measure, at least over time. When I think about other organizations I admire, they use an artful mix of reinforcing strategies. National Geographic mixes mass media with environmental education with adventure travel packages. The American Lung Association mixes anti-tobacco policy work with stop smoking programs with social marketing. The Sierra Club mixes environmental activism with hiking and canoeing. This kind of mix makes for effective and lasting organizations, with impacts at scale. We already have A (Firefox). And we’re getting close on B (Hive, Clubs, fellows, etc.). The chunk of work we need to do now is figure out C.
As part of the next phase of Mozilla Learning strategy, Ben Moskowitz and David Ascher are going to lead a series of discussions on this ‘moving the needle on massive web literacy’ topic. Key people from MoFo’s advocacy and product teams will also play a leadership role in this process. And there will be chances along the way for anyone who has interest to join the conversation. More info will be available when the process kicks off in mid-August. In the meantime, I wanted to throw out these questions for discussion and debate. I asked two questions about participation back in January: 1. what is radical participation? and 2. what practical steps can we take right now to bring more of it to Mozilla?. It’s been great to see people across Mozilla digging into these questions. I’m writing to offer an update on what I’ve seen happening. First, we set ourselves a high bar when we started talking about radical participation at Mozilla late last year. I still believe it is the right bar. The Mozilla community needs more scale and impact than it has today if we want to confront the goliaths who would take the internet down a path of monopoly and control. However, I don’t think we can invent ‘radical’ in the abstract, even if I sometimes say things that make it sound like I do :). We need to build it as we go, checking along the way to see if we’re getting better at aligning with core Mozilla principles like transparency, distributed leadership, interoperability and generativity. In particular, we need to be building new foundations and systems and ways of thinking that make more radical participation possible. Mitchell has laid out how we are thinking about this exploration in three areas. When I look back at this past quarter, that’s what I see that we’ve done. As context: we laid out a 2015 plan that included a number of first steps toward more radical participation at Mozilla. The immediate objectives in this plan were to a) invest more deeply in ReMo and our regional communities and b) better connect our volunteer communities to the work of product teams. At the same time, we committed to a longer term objective: c) create a Participation Lab (originally called a task force…more on that name change below) charged with looking for and testing new models of participation. As a way to move the first part of this plan forward, the ReMo Council met in Paris a month or so back. 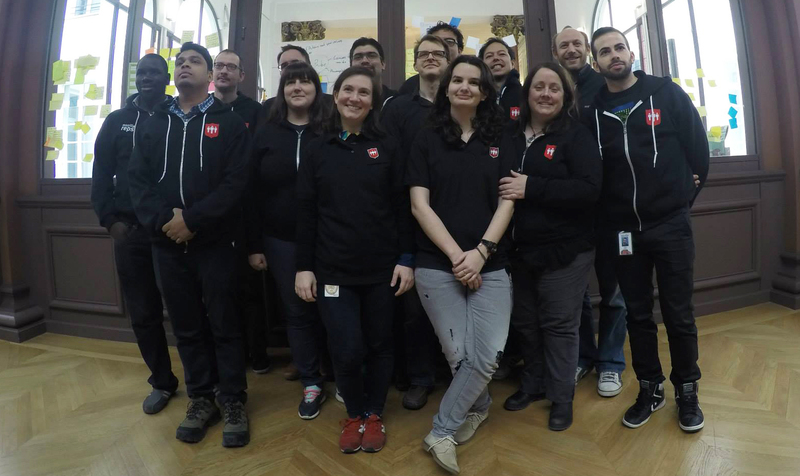 There was a big theme on how to unleash the leadership potential of the Reps program in order to move Mozilla’s core goals forward in ways that take advantage of our community presence around the world. For example, combining the meteoric smartphone growth in India with the local insights of our Indian community to come up with fresh ideas on how to move Firefox for Android towards its growth goal. We haven’t been as good as we need to be in recent years in encouraging and then actually integrating this sort of ‘well aligned and ambitious thinking from the edge’. Based on reports I’ve heard back, the Paris meeting set us up for more of this kind of thinking. Rosana Ardila and the Council, along with William Quiviger and Brian King, are working on a “ReMo2.0” plan that builds on this kind of approach, that seeks a deeper integration between our ReMo and Regional Community strategies, and that also adds a strong leadership development element to ReMo. On the second part of our plan, the Participation Team has talked to over 100 people in Mozilla product and functional groups in the past few months. The purpose of these conversations was to find immediate term initiatives that create the sort of ‘help us meet product goals’ and ’empower people to learn and do’ virtuous circle that we’ve been talking about in these discussions about radical participation. Over 40 possible experiments came out of these conversations. They included everything from leveraging Firefox Hello to provide a new kind of support and mentoring; to taking a holistic, Mozilla-wide approach to community building in our African Firefox OS launch markets; to turning Mozilla.org into a hub that lets millions of people play small but active roles in moving our mission forward. I’m interested in these experiments, and how they will feed into our work over the coming quarters—many of them have real potential IMHO. I’m even more excited about the fact that these conversations have started around very practical ideas about how volunteers and product teams can work more closely together again. It’s just a start, but I think the right questions are being asked by the right people. With this ethos in mind, we have just introduced the Lab as both a way to initiate focused experiments to test specific hypotheses about how participation brings value to Mozilla and Mozillians, and to support Mozillians who have already initiated similar experiments. The Lab will be an engine for learning about what works and what will get us leverage, via the experiments and relationships with people outside Mozilla. I believe this approach will move us more quickly towards our bold new plan—and will get more people participating more effectively along the way. You can learn more about this approach by reading George’s blog post. There is a lot going on. More than I’ve summarized above. And, more importantly, hundreds of people from across the Mozilla community are involved in these efforts: each of them is taking a fresh look at how participation fits into their work. That’s a good sign of progress. However, there is only a very small Participation Team staff contingent at the heart of these efforts. George has joined David Tenser (50% of his time on loan from User Success for six months) to help lead the team. Rosana Ardila is supporting the transformation of ReMo along with Rubén and Konstantina. Emma Irwin is figuring out how we help volunteers learn the things they need to know to work effectively on Mozilla projects. Pierros Papadeas and a small team of developers (Nikos, Tasos and Nemo) are building pieces of tech under the hood. Brian King along with Gen and Guillermo are supporting our regional communities, while Francisco Picolini is helping develop a new approach to community events. William Quiviger is helping drive some of the experiments and invest across the teams in ensuring our communities are strong. As Mitchell and I worked out a plan to rebuild from the old community teams, these people stepped forward and said ‘yes, I want to help everyone across Mozilla be great at participation’. I’m glad they did. The progress this Participation Team is making is evident not just in the activities I outlined above, but also in how they are working: they are taking a collaborative and holistic approach to connecting our products with our people. One concrete example is the work they did over the last few months on Mozilla MarketPulse, an effort to get volunteers gathering information about on-the-street smartphone prices in FirefoxOS markets. The team not only worked closely with FirefoxOS product marketing team to identify what information was needed, they also worked incredibly well together to recruit volunteers, train them up with the info they needed on FirefoxOS, and build an app that they could use to collect data locally. This may not sound like a big deal, but it is: we often fail to do the kind of end to end business process design, education and technology deployment necessary to set volunteers up for success. We need to get better at this if we’re serious about participation as a form of leverage and impact. The new Participation Team is starting to show the way. Looking at all of this, I’m hoping you’re thinking: this sounds like progress. Or: these things sound useful. I’m also hoping you’re saying: but this doesn’t sound radical yet!!! If you are, I agree. As I said above, I don’t think we can invent ‘radical’ in the abstract; we need to build it as we go. It’s good to look back at the past quarter with this in mind. We could see the meeting in Paris as just another ReMo Council gathering. Or, we could think of it—and follow up on it—as if it was the first step towards a systematic way for Mozilla to empower people, pursue goals and create leaders on the ground in every part of the world. Similarly, we could look at MarketPulse as basic app for collecting phone prices. Or, we could see it as a first step towards building a community-driven market insights strategy that lets us outsee— and outsmart—our competitors. It all depends how we see what we’re doing and what we do next. I prefer to see this as the development of powerful levers for participation. What we need to do next is press on these levers and see what happens. That’s when we’ll get the chance to find out what ‘radical’ looks like. PS. I still owe the world (and the people who responded to me) a post synthesizing people’s suggestions on radical participation. It’s still coming, I promise.